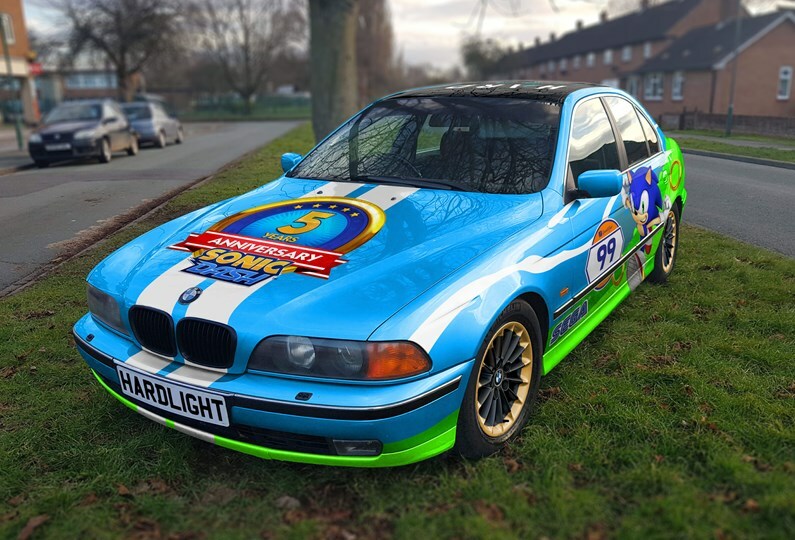 Sega’s HARDlight Studio Are Auctioning A Sonic Themed BMW! Recently, there was a charity racing event in which several game studios took part, including Sumo Digital and Sega’s HARDlight studio. Each studio brought a special customised car, and HARDlight’s car was themed on Sonic Dash. Well the event is over, and most (if not all) of the cars are now up for sale! Yes, you can now own an official Sonic car! Currently, the vehicle is at £360, which is a lot cheaper than some other pieces of Sonic merch! The vehicles are local pickup only, but all the money raised will go to Special Effect, so check out those bus times if you happen to put in the winning bid. Sumo Digital are also selling their vehicle too, a Sumo Digital branded Subaru Impreza Turbo. Remember how I wrote a month ago about what exactly do we do with all these epic promotional items? Well, now is your chance to save something quite epic and a genuine one off! The links to both auctions can be found at the end of this article. We wish Special Effect all the best with their auctions.